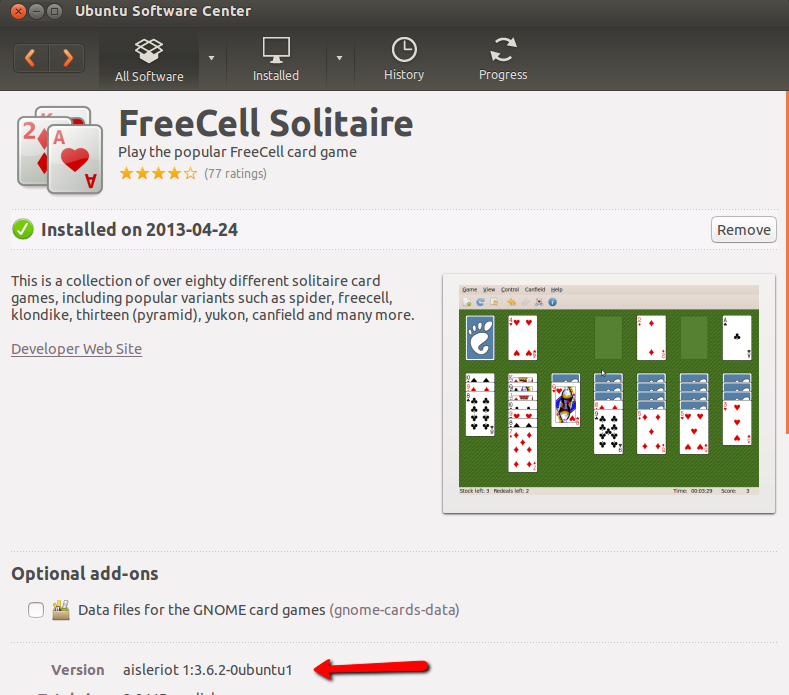 Freecell Solitarire won't load on Ubuntu 13.04. In the software center it appears as Installed but doesn't appear in Search. 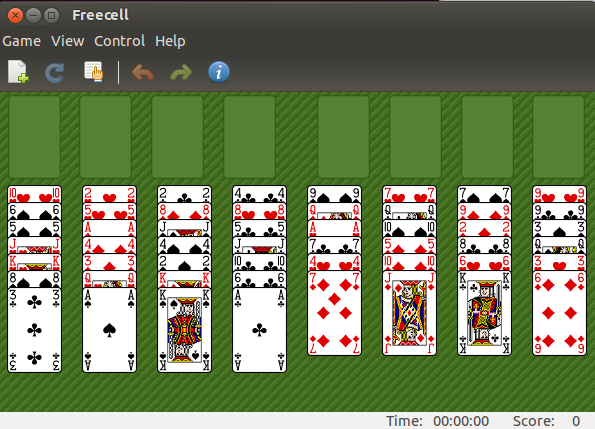 As a workaround, would it be possible to start FreeCell from Terminal and then make a shortcut on it to my desktop. What command do I use to start a prrogram/application from Terminal? Or is there a better way? 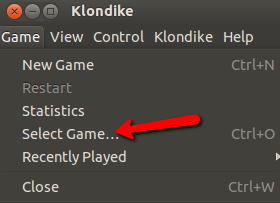 Once it opens, click on game, and choose select game. 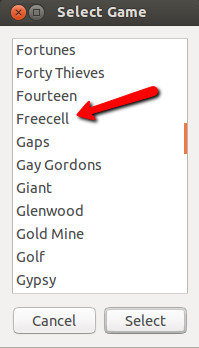 when it opens navigate to freecell, and select it. Or start it from terminal as the bkd.online stated in his answer. Command line command is sol or /usr/games/sol. Not the answer you're looking for? Browse other questions tagged command-line software-center 13.04 games or ask your own question. How can I get root-like permissions so I can download stuff from the software center? Software-center crashes: bug or configuration error? Ubuntu Software Center won't download any program! What can I do? 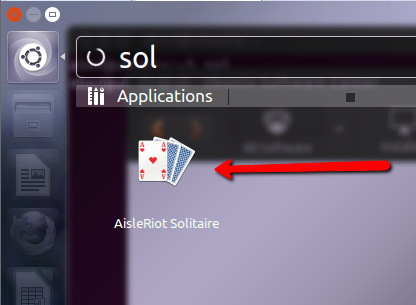 How can I have the software center automatically create a shortcut on my desktop every time it installs an application?